Two of my friends, Mike Mendez and Robert Ingellis, have formed a company called Bad Applez, Inc., and this is one of their first projects: the Space Junk Destroyer! Above flyer for the TK3 show at Rotofugi shows a Space Junk Destroyer painted by Robert (left) and one by Mike (right). Bad Applez Inc. is a NYC based company specializing in resin toys, vinyl toys and resin garage kits! 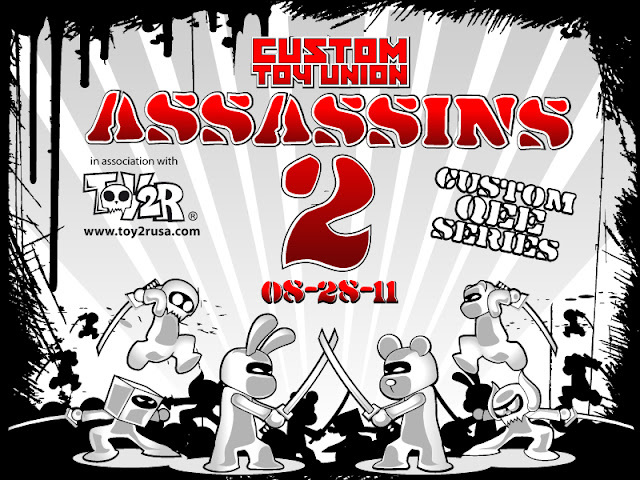 Owned and operated by Rob Ingellis ( OsiRisORion) and Mike "NeMo" Mendez, Bad Applez Inc. will be producing toys and model kits that appeal to every collector, while keeping true to the DIY ethic of the scene today! 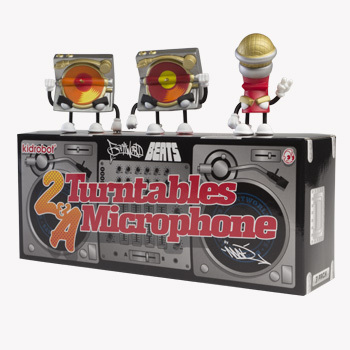 You'll be able to meet Mike and Rob in person at the Tenacious Toys / Toy2R booth at this year's NYCC. They'll be signing, along with Bob Conge of Plaseebo, in a group signing Saturday October 15th at 3PM. Our booth # is 876 in the Cultyard. How are Japanese soft vinyl toys (sofubi) made? Watch this video! Jon Malmstedt, owner of Rampage Toys, goes with his friend Velocitron to a mom & pop mini factory in Tokyo to watch the creation of soft vinyl toys. Velocitron explains to Jon some of the process, and you can watch it with your own eyes... Mysteries revealed! We are all very excited for the release of the Rampage Toys Ugly Unicorn sofubi, which is in production now! Preorders are currently available in the Rampage Toys shop for the red and yellow colorways. If production proceeds without a hitch, Tenacious Toys will also be selling an exclusive blue colorway at booth 876 at the 2011 New York Comic Con in October. 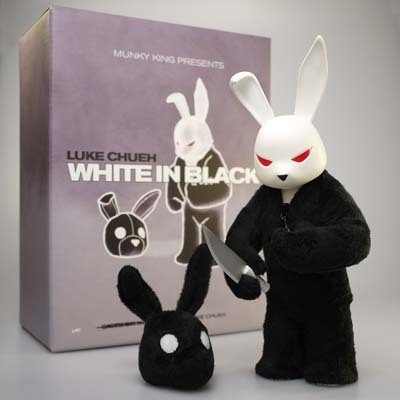 Click here to preorder Luke Cheh's beautiful White in Black figure. 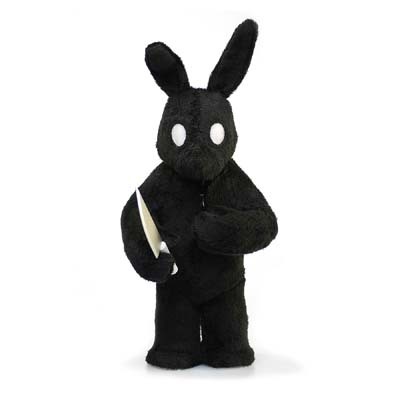 Based on the negative of the Black in White painting, and sculpted by Dave Pressler, this figure comes with an extra fur head that you can swap out with the bare one. 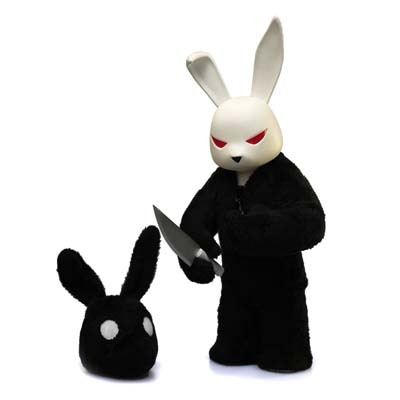 Also comes with a really sharp knife (not for kids)! 8 inches tall, only 750 pieces made. The above 3 paintings by Ian Ziobrowski will be displayed today at the opening of Bryan A. Collins' Rendition Gallery in Fort Collins, CO. Beautiful work, as always, from Ian. Expect to see a lot more work from Ian (paintings and toys as well) as he shifts into high gear this fall! Jon Malmstedt sends word from Japan that Velocitron has completed the very first flesh-colored test pull of his new 5" Ugly Unicorn sofubi. "Sofubi" is soft vinyl from Japan. You can preorder your own Ugly Unicorn in red or yellow at the Rampage Toys shop. 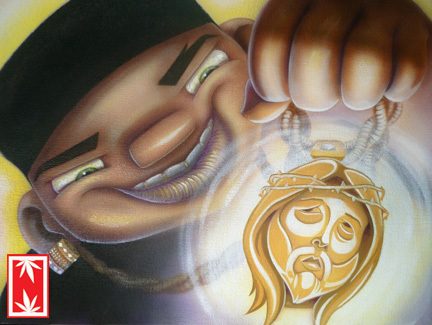 Ian Ziobrowski shares with us one of the 3 paintings he has sent over to Fort Collins, CO for the opening group show at Bryan A. Collins' brand spankin' new Rendition Gallery. Bryan reached out to a number of awesome artists and gathered them up to show at his very first gallery show. Rendition Gallery will be displaying custom toys as well as paintings at this first show, so if you are in CO, you better get yourself over there. Friday September 2nd is the opening night party. 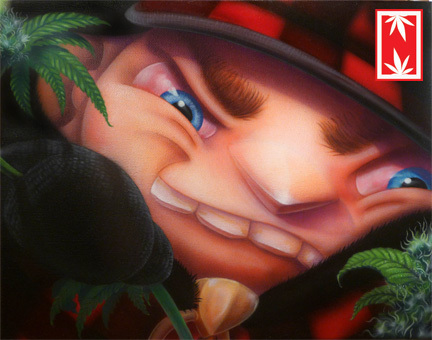 With this "Crook ED the Cop" painting, Ian Ziobrowski showcases his considerable skills and his further exporation of the characters in his NUGGLIFE world. When the Rendition Gallery show opens this Friday, we will reveal Ian's 2 accompanying paintings. 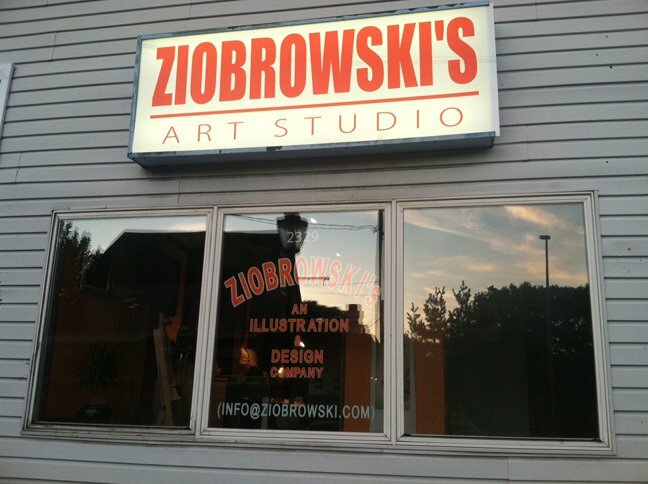 Speaking of galleries, Ian and his brother just opened "Ziobrowksi's Art Studio" in Medford, NY on Long Island. 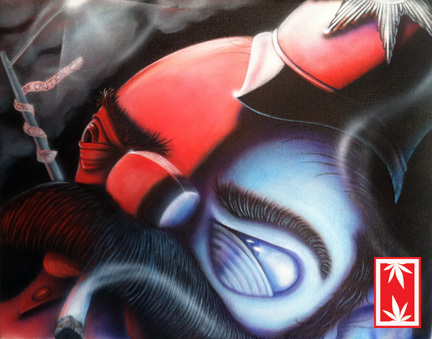 You can go see Ian's paintings and toys and get inked by Eric. Address is: 2329 Route 112, Medford, NY. CTU x Toy2R Assassins 2 "Custom Qee Series"
On sale here: http://customtoyunion.bigcartel.com/ for $40.00 plus S&H each. Our friends at Atomic Martians review the WWRp Armstrong Gerry in their latest episode! Starting about halfway through. Killer review! 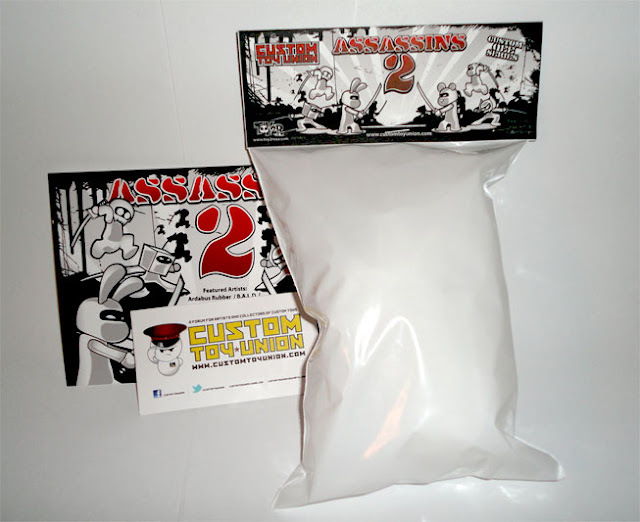 Big thanks to Jason at Atomic Martians for the plug.